In March 2017, Boulevards Events were asked to cater for the annual post-conference dinner for one of the UKs most prestigious publishing houses. The evening would welcome in excess of 1000 guests with Boulevard looking after all catering, bar, furniture and cloakroom services. Though not quite the largest dinner we have been asked to deliver, 1000 guests still represents a large number of people for a single sitting but there were also a number of other challenges that were unique to this event. 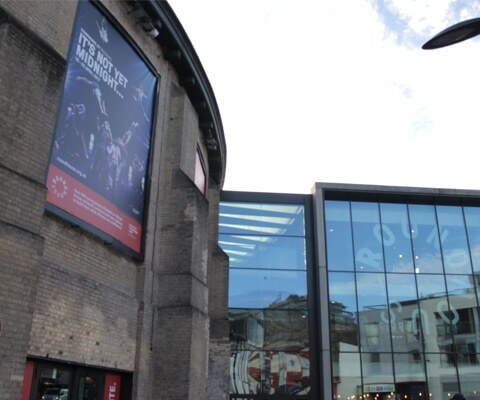 The first was that this event would be the first time working at the chosen venue and even as a company that exists to cater in new and unusual spaces, it’s unquestionable that the better you know the space, the easier it is to achieve a smooth delivery. 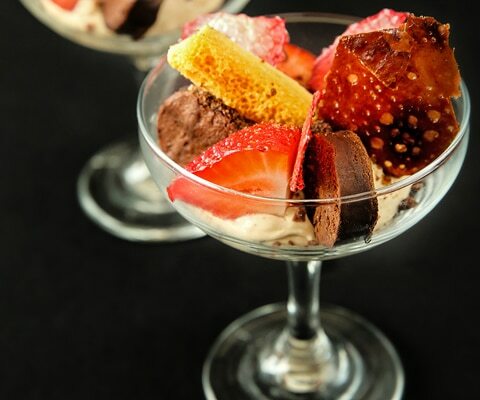 The second factor was the menu style which the client opted for – a sharing menu rather than plated. When providing a meal at home for friends this is often an easy way to dish up and have a stress free evening with everybody able to help themselves. When catering for an event of this size though, the random nature of this style of service adds a number of elements that cannot be controlled for in the same way as a plated meal where each guest simply receives their own plate. 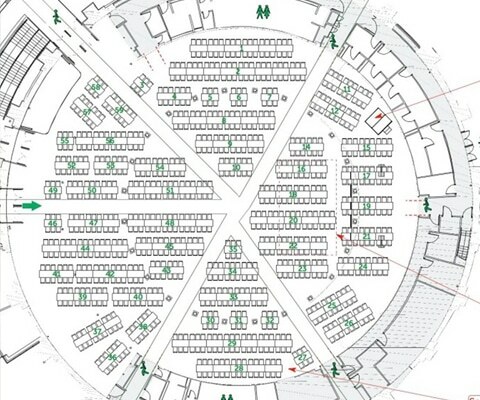 The final unusual and difficult factor was the chosen floor plan for the evening. Unlike the vast majority of dinners, the table sizes were not the same – or even close – meaning that the service team couldn’t simply repeat the same pattern for each table, nor the kitchen team plate up the same number of portions on each platter, or indeed the event manager order the same sized platters. On top of these intricate complications, the event happened to be on the same night as three others for which the Boulevard team were catering. 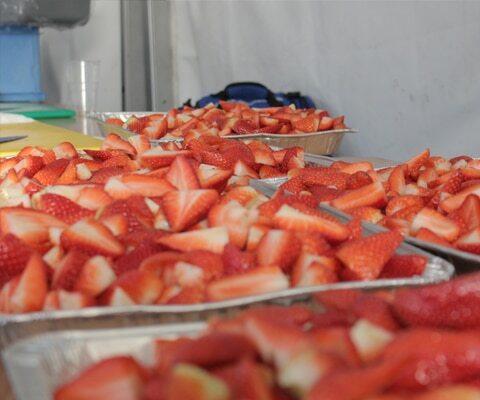 All told, the number of covers that day was in excess of 1400. Through meticulous planning, a close client-venue-caterer relationship and our unwavering commitment to absolute quality, no matter the size of the event, we delivered an exceptional evening for our guests who enjoyed dishes including whole sirloin of beef and for dessert a larger version of our 2014 Square Meal Canape Cup Winner, 00Heaven. 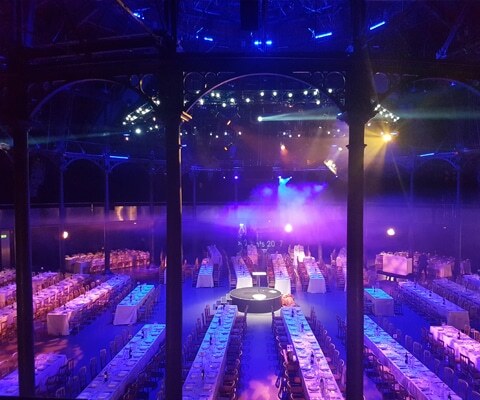 “Boulevard Events looked after the catering for a high level company dinner that we organised in March at The Roundhouse, London. 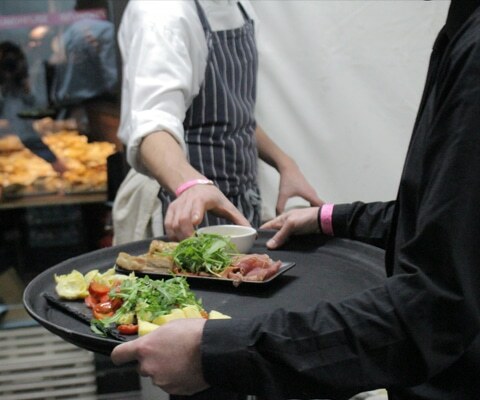 Our client, a Publishing Company, wanted a ‘family style service’ for 1200 guests on long sprig tables – the absolute maximum possible at the venue. 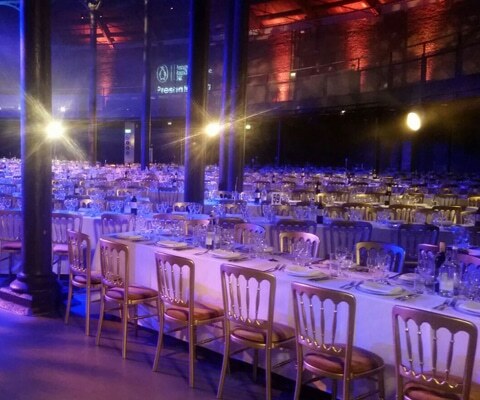 Successful events are all about planning and logistics and this is very much needed at The Roundhouse. Boulevard were excellent from start to finish, with great organisational skills, very adaptable as the programme developed and showed great flair. There are always lots of special dietary requests with this event, Dan and Adam were particularly careful to bear this is mind with the original menu proposals but on the night they managed 278 special requests!